Have you considered the impact of the new tax law on your organization? The Tax Cuts and Jobs Act (TCJA) disallows deductions for expenses with respect to qualified transportation fringes (QTF) provided by all employers, including nonprofits. What this means in plain language is that Congress created a federal income tax on the cost of employee parking provided by churches, charities and other nonprofits. If your organization maintains or leases a parking lot and has employees, this change applies to you. For nonprofit organizations, any costs incurred after December 31, 2017, related to employer-provided parking will be subject to tax under the unrelated business income tax (UBIT) rules. In Notice 2018-99, the IRS provided a four-step safe harbor process to allocate the total costs of leasing or maintaining parking space and calculating the additional tax, if any. The following summary is not intended to be comprehensive but rather to assist in identifying whether your organization will be affected. Identify how many parking spots are reserved for employee parking only. The expenses associated with reserved employee spots are automatically disallowed and, thus, taxable to the organization. Parking spots are considered reserved for employees for a variety of reasons including but not limited to specific signage, a separate lot or a segregated portion of a lot. Immediate action available: Organizations have until March 31, 2019, to change their parking arrangements (change signage, access, etc.) to decrease or eliminate reserved employee spots retroactive to January 1, 2018. STEP 2: Determine the primary use of the remaining spots (the “primary use test”). Next, your organization must determine whether the primary use of the remaining spots is to provide parking to the general public or to employees. “Primary use” means greater than 50-percent usage of the parking spots in the lot during normal hours of the exempt organization’s activities on a typical day. If the primary use is to provide parking to the general public, the remaining total parking expenses are excluded from the calculation, and steps three and four are unnecessary. STEP 3: Calculate the allowance for reserved nonemployee spots. Expenses allocated to parking spots exclusively reserved for nonemployees continue to be an allowable expense and, thus, are excluded from the tax calculation. 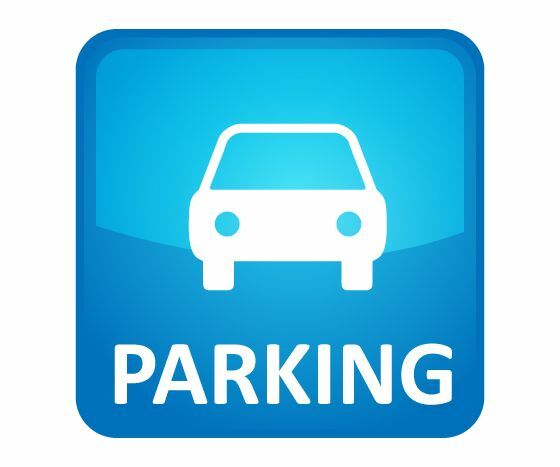 Any remaining parking expenses not specifically categorized as deductible or nondeductible based on steps one through three must be allocated based on a reasonable determination of employee use of the remaining parking spots during the normal hours of the organization’s activity. Calculate the Tax: After completing the four steps, the expenses allocable to employee use, and thus taxable, can be determined. If the sum of (1) the calculated disallowed employee expenses and (2) gross income from unrelated trades or businesses is greater than $1000, the organization must file Form 990-T and pay tax at the corporate tax rate of 21%. Please note: The communication above is intended to be an informational summary only. The definitions and calculations outlined by the IRS are complex and nuanced. We recommend you seek advice from a qualified tax professional.